Our best-known and internationally appreciated camera ensemble features a famous guest, Alexander Melnikov, to perform the Brahms piano quintet. 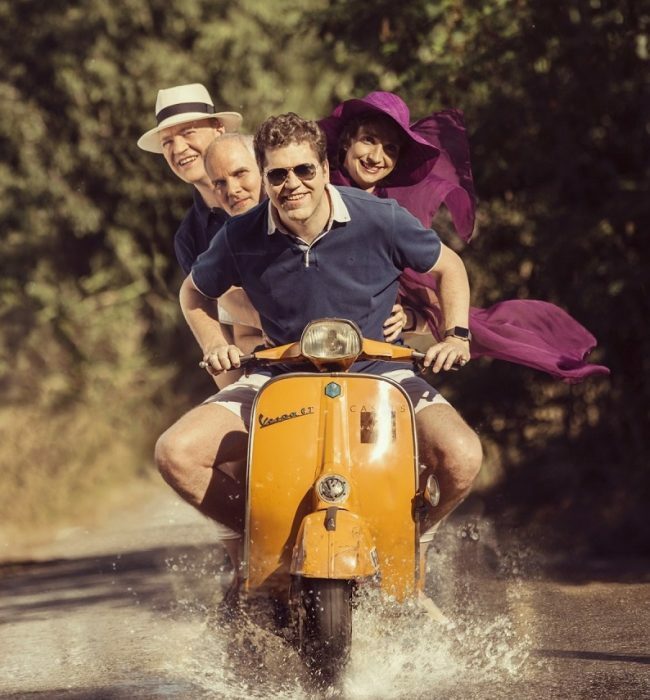 In the excellent auditorium of the Auditori, with more than acceptable acoustics, the public will be able to enjoy the anthological understanding between these musicians, a group of soloists that functions as a living organism, building dialogues as perfect as apparently spontaneous. Their incisive ability, the depth and purity of their attacks will be expressed very vehemently in String Quartet No. 1 in A minor, op. 7, by Béla Bartók, a work of devilish equilibrium, which dialogues from the most distant end of the musical spectrum with the classical tradition, with which the evening will open. A contemporary dance show of great intensity is, certainly, Venezuela, by the Batsheva Dance Company and the choreograph Ohad Naharin, who addresses questions to the viewer and in some way includes him in what is happening in front of him. The contortions are rhythmically familiar, but also strange, unforeseen despite their closeness. The interventions of the dancers can show a coral aspect, but we do not see a mass of people but, rather, individuals that make up a progressively differentiated conglomerate. "The dancers explore dialogue as well as conflict between movement and the content it represents", explain the organizers, qualifying their commitment to the reflection that is implied in not merely sensual dances: "the choreographer has Naharin attempts to include the audience in this freedom of choice along with its endless scope of possibilities, while making a critical comment about all of us". Not only the presence of one of the best pianists of his generation -the exquisite touch with which he assumes the most intricate scores and his privileged ability to unravel emotions with subtlety- pushes us to recommend the event. In addition to the prominence of Javier Perianes, we should mention the performance of the London Philharmonic, an orchestra with a hard-to-compare success story, founded by Sir Thomas Beecham and directed by leading masters, including Georg Solti, Bernard Haitink or, more recently, Vladimir Jurowski. At the concert of the Palau de la Música, on February 16th, Juanjo Mena will face a program that that presents an attractive balance between technical complexity, spectacular sound and popularity: the Third Piano Concerto by Beethoven and one of the most important symphonies of Mozart, which forms the final triptych with the Symphony no. 40 in G minor, universally known for its initial movement, and the last, lavish, called "Jupiter". We are talking about the Symphony no. 39 in E flat minor, Kv. 543, that has a rich instrumentation. The colourful orchestra evolves on the basis of exciting rhythmic contrasts, similar to the ones of the famous contemporary work Don Giovanni -premiered in Prague the year before- which seems to precipitate Mozart out of the strictly gallant element, orienting his taste in the direction of a vertiginous nineteenth century. In the Madrid Auditorium the pianist Javier Perianes will perform in the following days (in two sessions, on Tuesday 19th and Wednesday 20th) the five Beethoven concerts, a feat to be taken into account for those who are there to enjoy them, although the pre-Beethovenian plenitude of the Salzburg genius -programmed at the Palau- will be missed. Sant Just i Pastor church, in the heart of Barcelona Gothic, hosts an exceptional musical event. Juan de la Rubia will sound the organ between the walls and flying buttresses of the temple, in the space that opens pointed arches, magisterially constructed. The chosen music corresponds to the court of Louis XIV, the Sun King. Baroque pieces, beautifully intricate will be contextualized with a point of lyricism on the part of the narrator Manuel Forcano. It is a great opportunity to enjoy the sites offered by the city at the beginning of the Festival of Ancient Music organized by the Auditori, in the current season under the name Llums d'Antiga: "an appointment that will allow the public to enjoy, from February 5th to 16th, an intense musical activity in different churches and chapels of the city of Barcelona. Twelve days of magic in historical scenes of the city with rare repertoires, belonging to the contexts of figures like Louis XIV or Martin Luther". Events that will perform artists with an international reputation (Jean Rondeau, Lina Tur, Kenneth Weiss), as well as Juan de la Rubia. 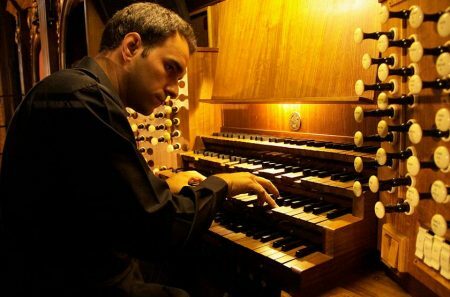 The Valencian organist has interpreted as a soloist with the Freiburger Barockorkester on multiple occasions and is admired for his management of tempi and the fullness of the sound he extracts from the instruments he plays. But also, even more, his name is associated with improvisation, the fascinating ability to harmonize and articulate appropriate discourses to situations as changing as those that occur in the accompaniment of silent films, a task that played in the Palau de la Música and in other cities of Spain with great critical success (Nosferatu o Metropolis, for example). In the celebration of the French baroque will he be able to amaze, as well, with his sonorous imagination. Benet Casablancas, probably the most international Catalan composer of our time -a prestigious company recently recorded an interesting compendium of his chamber pieces- premieres his first opera at the Gran Teatre del Liceu. L'enigma di Lea, with a libretto by Rafael Argullol, condenses his particular way of understanding composition. Oblivious to trends, but always open to experimentation and the influence of the arts, Casablancas is again confirmed as a humanist, concerned about the circumstances in which men and women unfold their lives and passions, here illustrated by a plot that has a mythical aftertaste. It is a completely unpublished opera -never before heard- that will be enjoyed thanks to the daring staging of Carme Portacelli and the direction of Josep Pons, a master especially familiar with the compositions of the late nineteenth century and contemporary ones. Speaking of the work of Casablancas organizers write: "The bearer of immortality, she is under surveillance from two monstrous beings who guarantee morality in opposition to individual freedom (…) An opera that “expresses the ideal that was the last of the Romantic Utopias: that of touching the Absolute". 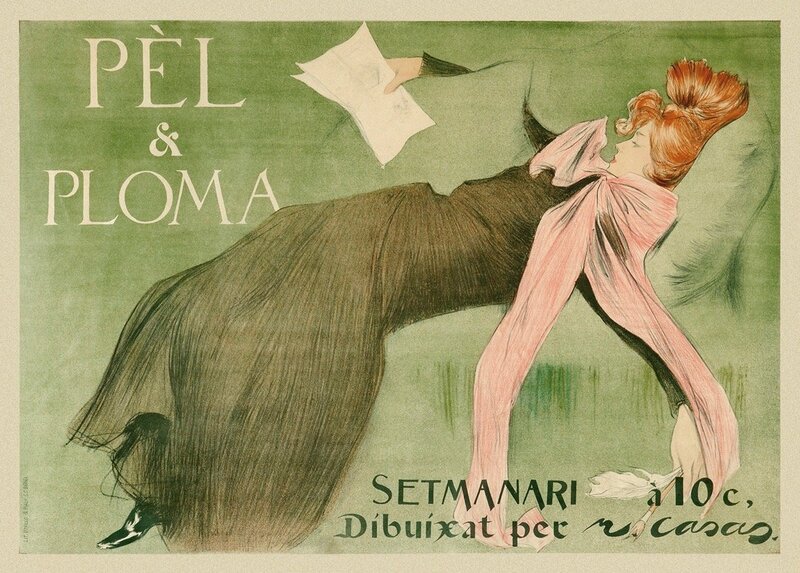 The value of Ramon Casas’ work is still increasing, and that is why a gallery like the Gothsland has been focused for years “on the cataloguing and authentication of the work of Ramon Casas that preserved in private collections". The art gallery has prepared, on the occasion of its 40 years, an interesting sample of works of art of that bohemian, commonly present in the circles of the Parisian intellectuals. Actually, he frequented the same places and friendships as someone so famous and celebrated (recently, in a fantastic exhibition at the Caixaforum) as Toulouse-Lautrec. The organizers explain "his undulating lines, oil or charcoal drawn, full of elegance, are also the protagonists of this museum-like exhibition... together with a surprise, a Renault made 1902". In this sense, there are not only paintings shown to the public. In order to contextualise his time and atmosphere some idiosyncratic objects are exhibited, items that were revered by men and women of those times, without knowing that they were about to be testimonies of a series of changes in terms of technological progress, ways of life and also destruction. Little in common have the current sales and communication techniques with those of the late nineteenth century. And, nevertheless, they coincide in the urge to show products attractively, wanting to awaken the interest of the potential consumer. For, despite the differences in the diffusion of messages -related with epochal values, not necessarily perpetuated- the digital reality of our modes of consumption still prioritizes the visual aspect, just like then. The exhibition "The Advertising Boom. Tin, cardboard and tile posters. 1890-1950” shows items sorted according to categories, in a rather fascinating panoramic tour. More than the permanence or disappearance of some of those products, it is maintained, remarkably, the use different pictorial styles: from those with models that seem to come from cabaret shows to comic designs, with caricatured features. If something prevails in all cases is colour, in collaboration with slogans that claim to remain easily in the memory. 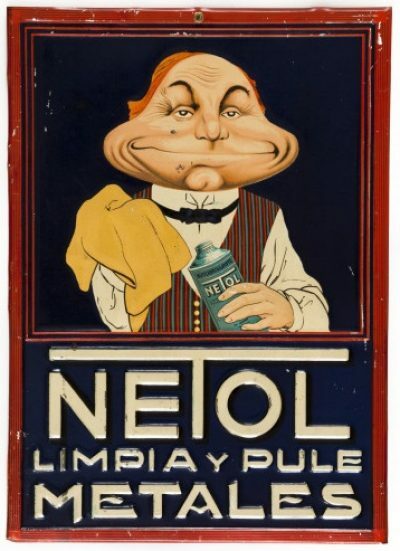 The website shows some of the items, explaining that "the exhibition is a tour, from the end of the 19th century to the middle of the 20th, through graphic commercial advertising dedicated especially to the promotion of everyday products: food, wines and cavas, pharmaceuticals, care products, tobacco, machines etc”. And, continues: "Two-dimensional tin and cardboard posters and even large-format three-dimensional pieces in the case of cardboard, served as powerful advertisements at shop entrances, often with life-size figures that became popular icons of their day. The purpose was to promote the products’ qualities and advantages, by highlighting in particular the name of the manufacturer, which, in an effort to position itself in the market, began to use design to create an attractive brand image". and also from others even farther away, such as overseas territories. Thus, in addition to the seven wonderful paintings of Sevillian master, the visitor can enjoy canvases of such relevant names as Rubens, Titian, Ribera, Van Dyck, Brueghel the Elder, Zurbarán, among others. "Works by international artists", the organizers explain, "contemporaneous to the Spanish painter, exposed according to a thematic criterion that allows a better understanding of Velázquez's originality as a narrator. At the same time, the exhibition shows artists from different backgrounds, effectively breaking the limits of national schools". "Liberxina. Pop and New Artistic Behaviour, 1966-1971" is one of the most powerful and daring exhibitions at the moment, even if it focuses on a type of artistic practice belonging to the late sixties. Initiatives that sought free expression of aesthetic and above all moral concerns, opening up to languages unknown in our country by that tune, and that "shared the ideals of generational renewal and revolution that exploded in different international nuclei". With contrasted artistic means, and occasionally from distant places (some of them from Paris) artists like Francesc Artigau, Robert Llimós, Equipo Crónica, Antoni Porta, Antoni Llena, Antoni Miralda, Jaume Xifra, Benet Rossell or Joan Rabascall combine formal experimentation with criticism and aesthetic recreation. The organizers reflect this complexity: "Perhaps contradictory and ephemeral, the art of those years shows the connection with international modernity associated with the new paradigms of freedom and revolution. 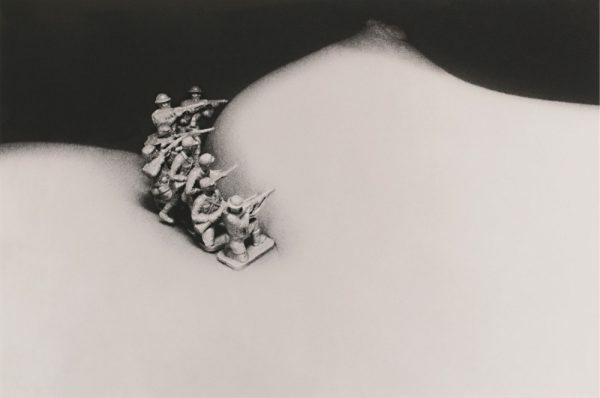 The artists move between political militancy and hedonistic individualism, between the defene of figurative painting and the new expanded or immaterial practices. Pacifism, sexual revolution, a critique of capitalism, unlimited exploration of individual creativity, these are some of the fundamental challenges expressed”. Nearly 50 years after the arrival of man on the moon, the exhibition that Cosmocaixa devotes to the expedition illustrated by Hergé, with Tintin as the protagonist, seems fully appropriate. Hardly can be found a better way to encourage the youngest to discover the meaning of the expedition successfully commanded in the summer of 1969 by Neil Armstrong, on board the Apollo XI. Hergé's adventure, made almost twenty years before, continues the path of other creators, who had been carried away by the fantasy to project and describe that extra-terrestrial experience, on the surface of the closest and most familiar satellite -Jules Verne or H. G. Wells in the field of literature, Georges Méliès in a pioneering way, in 1902, in the field of cinema- using technological means to capture the success of science in a context of admiration and faith in progress. 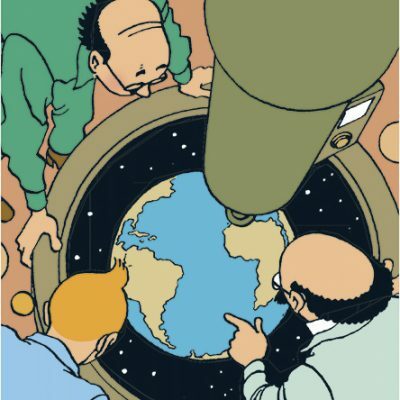 Hergé, in addition, shows a great inspiration at the time of drawing the predominantly blue Earth (something that not even the perfectionist Stanley Kubrick had made in his 2001. A Space Odyssey, because the first photos from the moon, which showed it similar to the one of the comics, would be taken at the end of 1968). Along with the iconic machines and characters of the Tintin saga, at Cosmocaixa the visitor can enjoy the presence of material brought from the moon, real spacesuits or even a reproduction of the lunar module, as well as less known photographs than many amongst of us can think of. In short, a sumptuous illustration hand in hand with science, which shows contrasts and some similarities with the Hergé cartoons. The culmination of such an immersive experience, which combines fantasy and scientific research, is the possibility of experiencing something similar to the conditions of gravity 0, with a machine provided with harnesses that leaves the small (or great) adventurer in suspension. The passion for the discovery of other worlds and the improvement of the current one is understood, as a result of the visit, as one of the priority objectives of science, performing the pedagogical function also from the entertainment.